The iPad is definitely one of the most revolutionary gadgets in the history of tech. Although other companies have launched numerous tablets to compete with it, the iPad still remains the best tablet that money can buy. Once considered a glorified extra-large iPod touch, the iPad has transformed itself into one of the most productive tools a person can own. The iTunes store is full of apps that help your iPad realize its full potential. 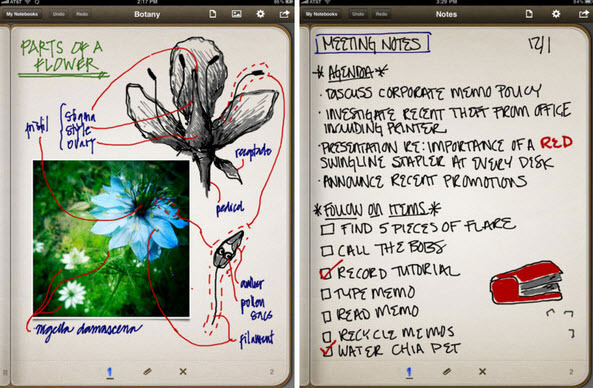 Here are 7 of the best iPad apps that boost productivity. Evernote, without a doubt, is the best note-taking app out there. The cross platform capabilities of the app, including cloud storage, mean that you can easily access all the information from multiple devices. Unlike other not-taking apps, Evernote allows you attach pictures to your notes, as well as lets you record voice reminders. This award winning app is packed with features, including the ability to directly save tweets to your Evernote account. One of the best accessories you can buy for your iPad is a good quality stylus. However, simply having a stylus is not enough; you need an app that will let you get the most out of it. This is where Penultimate steps into the picture. Made by the creators of Evernote, Penultimate is by far the most popular handwriting app for the iPad, and with good reason. Just like Evernote, Penultimate too is stuffed with features that make it very easy to take down notes quickly. 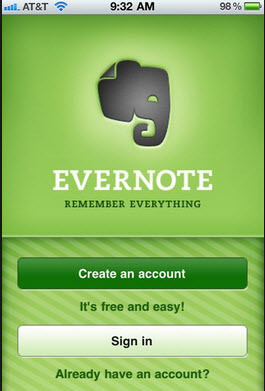 Anything you do in the app can be saved to your Evernote account. One gripe that people have about iOS devices is that, by default, you cannot use them as an external hard-drive. USB Disk provides the ideal solution to the problem. You can use USB Disk to sore and manage documents on your iPad. The app also provides cloud storage, thus allowing you to access the documents from other iOS devices. Not only does the app allow you to bypass the need to connect to iTunes to transfer pictures, it also allows you to save email attachments directly into the app for easy access. When it comes to file and document management on the iPad, other apps can’t hope to hold a candle to FileApp. The app supports various formats, including PDF and Word documents, along with having the ability to play multimedia content. One thing that makes FileApp unique is the in-built security features. The data stored in FileApp is encrypted and it is impossible to transfer documents using iTunes or DiskAid, unless the correct code is entered. The iPad packs a pretty good camera, but it can hardly be called a replacement for your digital or D-SLR camera. However, there are better ways to put your iPad camera to good use than taking selfies. The CamScanner HD app accesses your iPad’s camera and turns it into a high-definition document scanner. 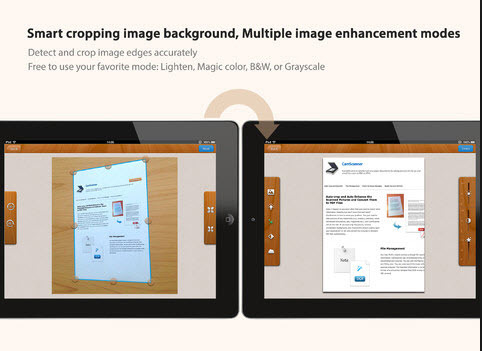 The in-built features allow you to crop and enhance documents within the app. Although it can be used with any file management system, CamScanner HD has its own document management system which is pretty good and easy to navigate. In order to become more productive and efficient, it is crucial to stay organized. And nothing gets you organized like a to-do list. Although there are a number of ‘list’ apps in the iTunes store, Wunderlist is definitely the best bet for your iPad. Wunderlist saves all your lists on the cloud, thus allowing you to sync the lists between various devices. A neat feature that makes Wanderlust unique is the ability to invite other to collaborate on various lists; this makes Wunderlist the app of choice for those who frequently work on team projects. Almost every document is usually in PDF format. Besides better quality, PDF offers a number of features that makes it excellent for reports and forms. 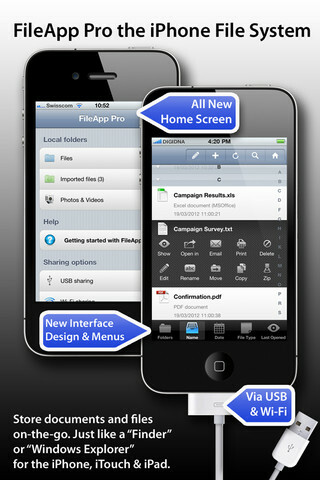 However, to truly explore the full potential of PDF, you need an app that lets you do so. As far as the iPad is concerned, PDF Master Pro is definitely the best app that you can get your hands on. 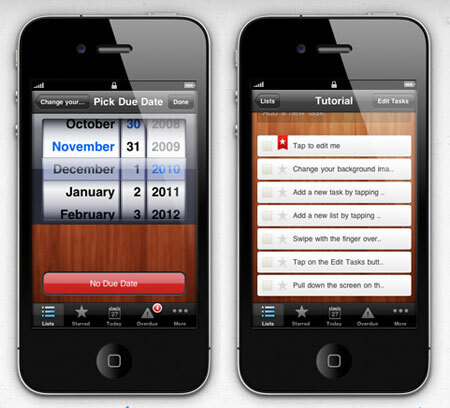 Not only does it let your read PDF documents, the app also allows you to create and edit PDF documents of your own. 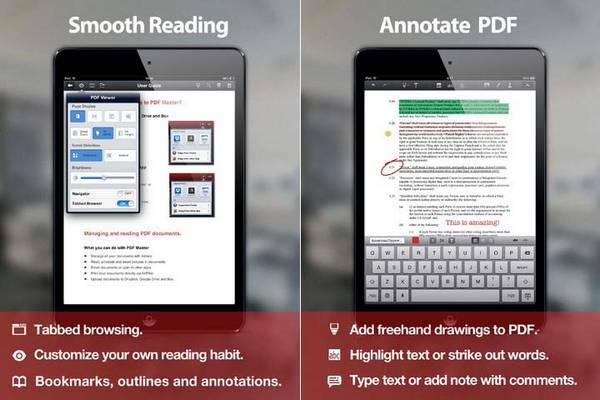 Annotating and sharing PDF document on the go has never been so easy. If you are trying to make sure that your iPad helps you become more productive and efficient then look no further than these 7 apps. About the Author: Thomas Philip is a part time employee at OfficeMovePro.com, a relocation company. He is very tech savvy and he likes researching about various innovations. He enjoys writing and guiding people through his articles. What Does the iPhone 5 have over the iPhone 4S? Is Apple Planning to Give a Thinner Screen to the iPhone 5?